Many students nowadays are choosing a computer-related career over those jobs wearing uniforms. Why? Because we are now in the digital age, and technology runs our community. Computer jobs like programming are in-demand at the same time pays higher than other jobs. However, it is not easy to land in a computer programming career. You need to have advanced knowledge, good logical reasoning and mastery because coding is too technical. If you are planning to be a computer programmer someday, or you are starting to learn about it, this post can help you in your decision making. Here are some of the programming languages that are in-demand and used by popular platforms over the internet. We hope that it can help you choose what programming language should you learn to continue your career on the coming years. 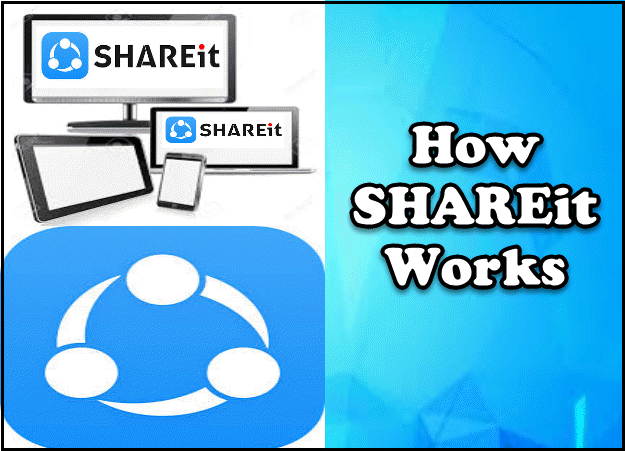 Have you ever wondered how SHAREit works? How did the developer come up with such a great file-sharing application that can meet the needs of the users? This is pretty much a question for us who do not know anything about programming and such. Remember those times when we rely on a program that takes like forever to transfer a single file. Yeah, you’re right. I am talking about our old best-friend – the Bluetooth. Bluetooth left us so many memories when smartphones are not yet existing. It is a tool which allows us to send and receive images or audio and video files from multiple devices. Today, mobile developers are continuing to enhance our devices, and it goes the same with the programs and applications. They developed gaming routers so we can play without lags, modems and routers for us to access the internet, and now a file-sharing application. They realized that we need to have a more reliable file-sharing app that will transfer files in a faster way. For that reason, they brought an app that will meet the needs of the mobile and computer users – the SHAREit. SHAREit is one of the best and popular file-sharing apps in the market. It transfers files at a lightning speed no matter how large the file is. SHAREit can share the files from one device to another on different platforms. With just a few clicks, a file will be transferred in a matter of seconds or minutes, depending on how large the file is. In here, I will share with you the information on how SHAREit works. It is based on the research I have made and of course, from the experience of using it. To have a first-hand experience of SHAREit, click this link and use SHAREit for Windows device. You can learn more about tech and gaming industry from our website. A file-sharing application like SHAREit is the app that is responsible for sharing or transferring files from one device to another. The concept is based on networking, where there are a sender and a receiver. Both of the devices have their IP address. One of the devices must initiate or create a WiFi hotspot while the other must be connected to that hotspot. SHAREit transmits data at the speed of 2 Mbps. This transmission does not use any type of cables or data. SHAREit uses Transmission Control Protocol (TCP) to transfer the files. The data to be sent is broken down into smaller pieces and it is called “packets.” The broken data packets are then transmitted to the receiver. When all the packets are received, the receiving device combines them and convert to the original file again. SHAREit runs on different platforms whether it is smartphone, tablet or computer. It can be downloaded and installed in Windows, Mac OS, Linux, Android and iOS. With SHAREit, all types of files can be sent. You can share everything including images, audio and video files, documents, contacts and even applications. There’s no limit on transferring when it comes to file size. One of the best features of SHAREit is that it can send and receive a file in a matter of seconds. No matter how large the file is, and how many files are you going to send, it will not take a long time to finish transferring. SHAREit for PC comes with a special feature which allows group sharing for up to 5 devices. So, if you and your friends came to a party and you captured the moments, you can send those moments to them simultaneously. Older mobile phones rely on Bluetooth to transfer and share files. SHAREit, on the other hand, does not need a Bluetooth or an internet to send and receive. You only need to create a WiFi hotspot which uses IP address and establish the connection between the devices, and transferring can be done. Technically, it is hard to understand how SHAREit works on our devices. But when it comes to its concept, I am sure you know that already. Since most of us who have smartphones use SHAREit as our file-sharing app, we already familiarized ourselves on this program. If you have questions and concerns regarding SHAREit app, please leave them in the comment box below. We are here to assist you with whatever we can do. If you are planning to buy a gaming router in 2018, you should first learn the most important thing before buying anything: Know what you are buying. Knowing is vital than just buying your way to any router that is offered or gets in your way just because it is cheap and it sounds good. To help you out, here are the things to know before buying a gaming router. When you buy a gaming router, do not go for how it looks. The looks do not define the performance and capacity of a router. This is very important especially when you want a gaming router. 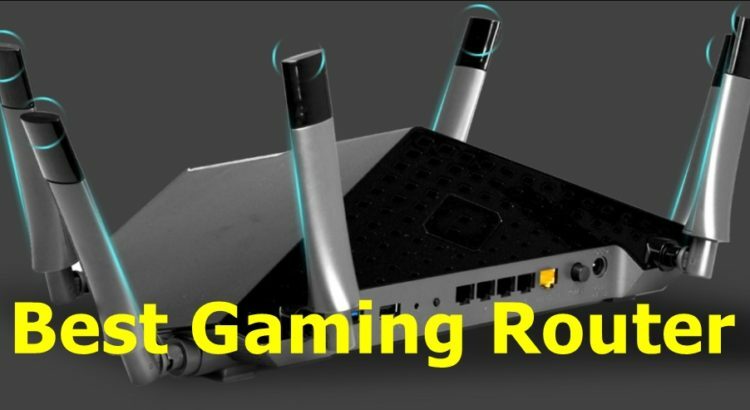 Gaming router does not mean that it should be futuristic looking. It has to have all the qualities that a gaming router should have. Here are the three things to know before buying a gaming router. How big is your house? Does it have a lot of rooms and obstructions? How many devices do you plan to connect to the router? The range of the router is very crucial especially when you want it to broadcast all over the house. If that is the case, you will want a long frequency WiFi for that. For your information, there are two popular main frequencies for routers—the 2.4GHz and the 5GHz. The 2.4GHZ is the long-range appropriate frequency. It can typically reach a wider area and is compatible with older WiFi devices. The only downside is that it is slow and poor with congested situations. On the other hand, the 5GHz frequency is compatible with modern devices. It is good with handling congested traffic and is much faster. Its downside is that it is great only with shorter range areas. If you can afford it, go for dual band. A router that can emit both 2.5GHz and 5GHz frequency is much better just in case you plan to carry around your router. Or if you are not sure about your area’s appropriate frequency, the dual band is a safe bet. Just like your computer and smartphone, the router has RAM and processor. And if you want a gaming router, faster of both hardware is good for your gaming experience. Go for dual-core or better processor with 1.2GHZ frequency or more. And at least 256MB of RAM or better will give you smoother performance. This is plain common sense. The better the processing power means better data handling and processing. That means, if you have multiple devices using the internet, it can easily distribute different types of data at once. Your candidate router should have features that are actually useful for you. Do not buy any router just because it has fancy new features that won’t have benefits for your daily use. Here is a list of typical added features that might or might not be really useful for you. See if anything here is actually worth something for your everyday use. USB Slots – this is usually useful if you have a pen drive or external hard drive that you want to share in the network. This is a great help if you do not want to share your PC or laptop’s local drive over the network. Also, everyone can access the files even if your PC or laptop is turned off. And if possible, choose the one that has USB 3.0 version. It is much faster. Support for MU-MIMO – this feature is great for multiple network users as this can transmit data with ease. Even if all the devices connected are streaming, it can handle it with flawlessly. The rest will be dependent on your internet speed. Smartphone app – the smartphone app lets you control most of the router’s capability on your mobile device. You download and install the app then go to 192.168.1.1 via any browser and you will be on the admin page of your wifi router. This means that you will not have to go over to your router just to fix something. Those three features are your basis when you finally decide to pay for your chosen router. Of course, the price matters as well. But like I have mentioned earlier, if you can afford the router with all these features, then the price is not always a matter of preference. But if you really mind the pricing, then try as much as you can to get the one with the nearest capability. The best thing you can do is try not to rush into buying anything. Look out to other markets and be patient with your choices. Who knows, you might find a great discount on one of your searches. If you have other concerns and questions, feel free to leave a message in the comment section. We will try to get back to you as soon as we can. And don’t forget to share this article to help others as well.